When Simon Rée struck up a conversation with the Coventry Transport Museum his luck was in, they donated a car to the Bardsley Youth Project. Bardsley Youth Project were awarded £5,000 from the Jumping Through Hoops Youth Fund to run ‘The Car Project’. 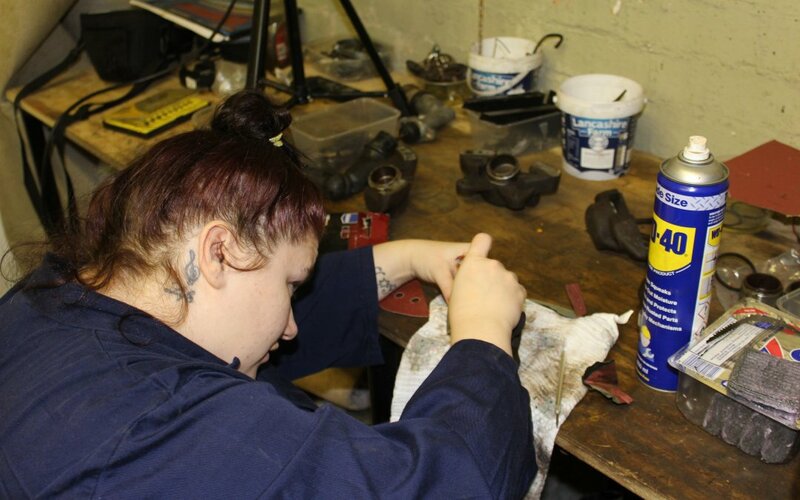 The group allows young adults aged 16 – 24 who are not in education, employment or training (NEET) to restore motor vehicles, these are then sold so new cars and tools can be purchased providing a sustainable business model. “Their background doesn’t make a damn bit of difference. What makes a difference is the fact that a lot of them haven’t had the person to look past their background. “It’s good it gives us our freedom, we’re not told what to do but if we are struggling, we can ask for help. “Normal people in the street wouldn’t hear about this, it’s just the fact that we’re in different circumstances that we’ve heard about it. To find out more about Bardsley Youth Project and their work click here. To find out how you could work with the Foundation to do more locally, click here.